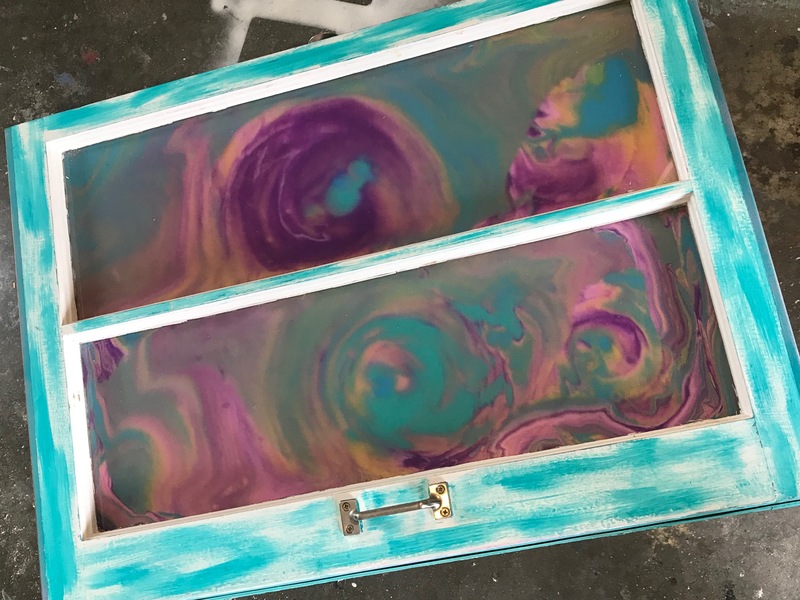 There is a new technique in the crafting and DIY world called paint pouring! I thought I’d give a hand at it and share with you my results! And let me tell you, I LOVE THE RESULTS!!! 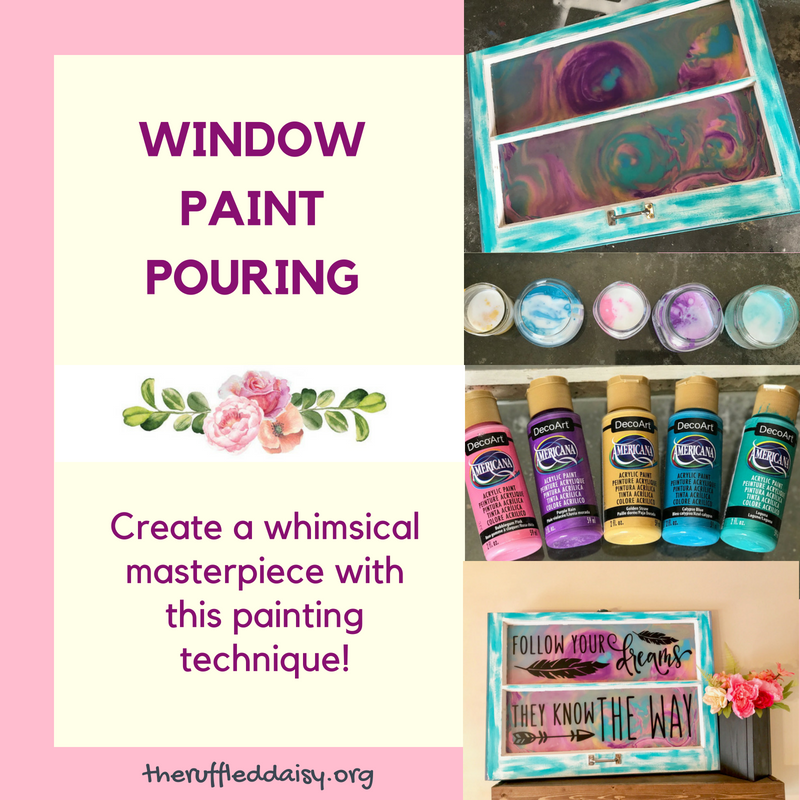 Paint Pouring this Whimsical Window was SOOOOO easy and so much fun! 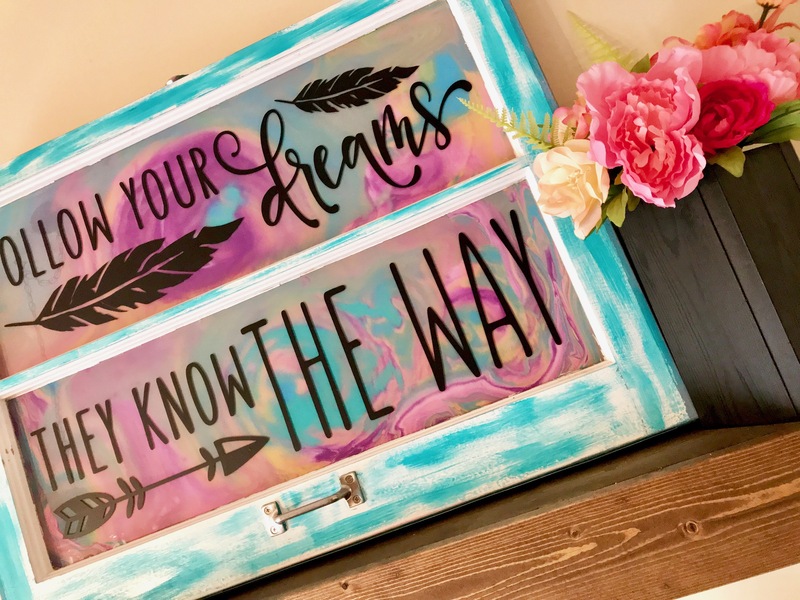 Decoart created a new product medium that helped take this project from cool to amazing!! You can hop over to their website and find out all the details on how to use it, but I will give you a quick run-down. They have some amazing videos that walk you through the process though. You’re going to want to check them out if you plan on making something like this. 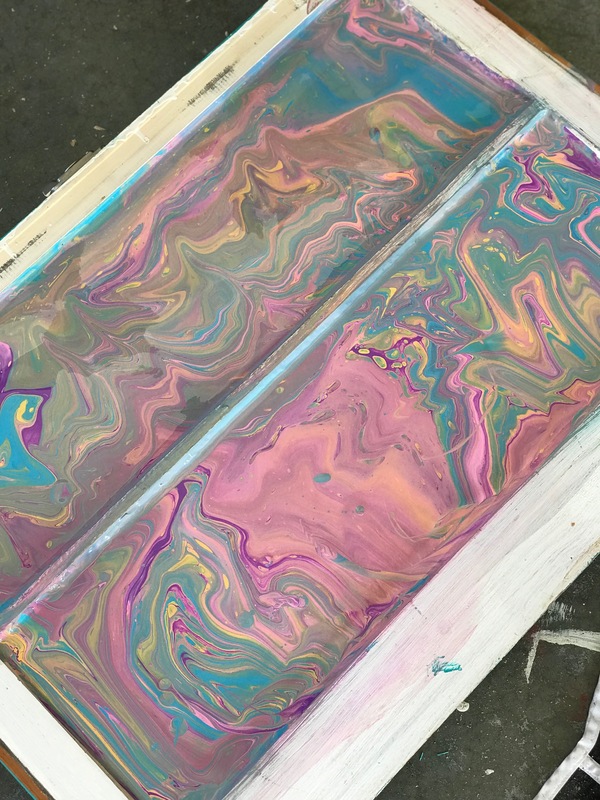 Many of the paint pouring projects you see all over the web and Pinterest right now are done on the front of the piece. Meaning the paint is poured onto the wood, canvas, or whatever else you’re using. When doing this, it creates very distinct lines between each color. Just google “paint pouring” and drool over all of the amazingness! 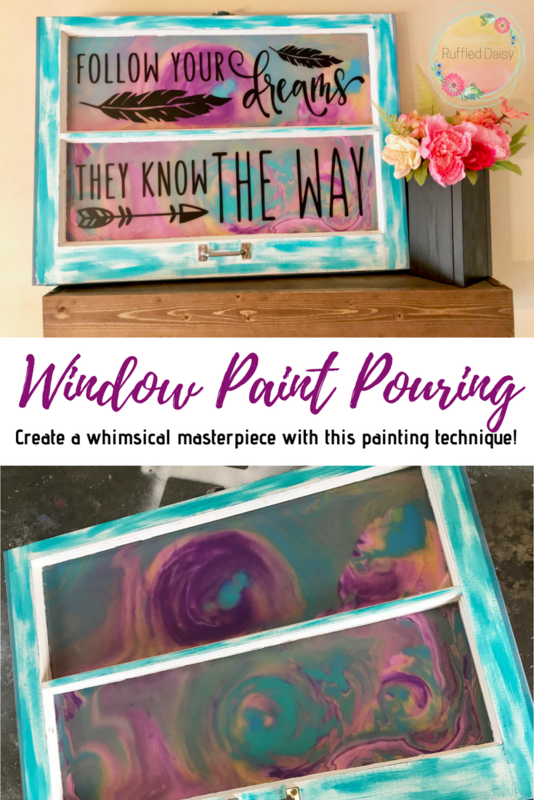 For this Whimsical Window you’re going to need your base (I used an old window), the DecoArt paint pouring medium, and some Americana acrylic paint in your choice of colors. 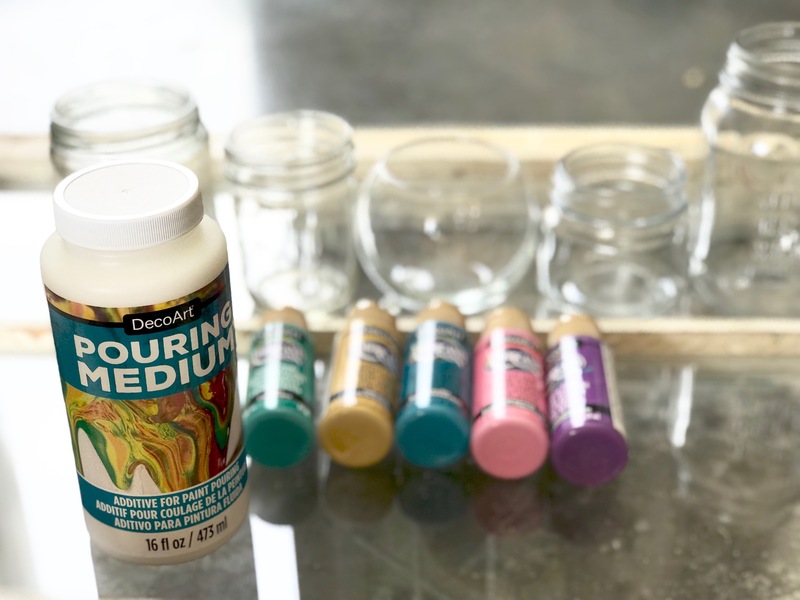 To mix your paint with your paint pouring medium, you are going to use a 1:1 ratio. The paint pouring medium is fluid additive specially formulated to enable paint to flow easily across a surface. It thins paint to the ideal consistency, creates cell effects, and reduces cracking and crazing. 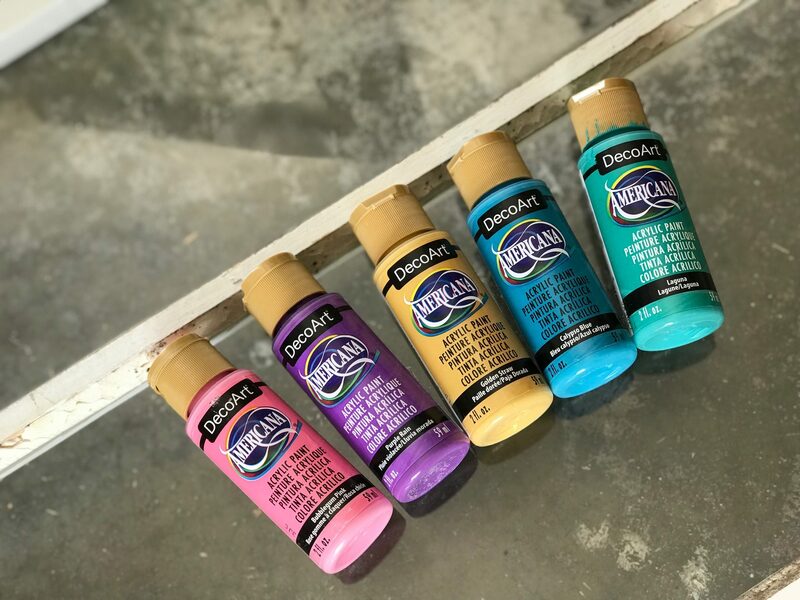 It will not slow down the drying time, alter the color, or lessen the adhesion of paint. It’s basically heaven in a bottle! 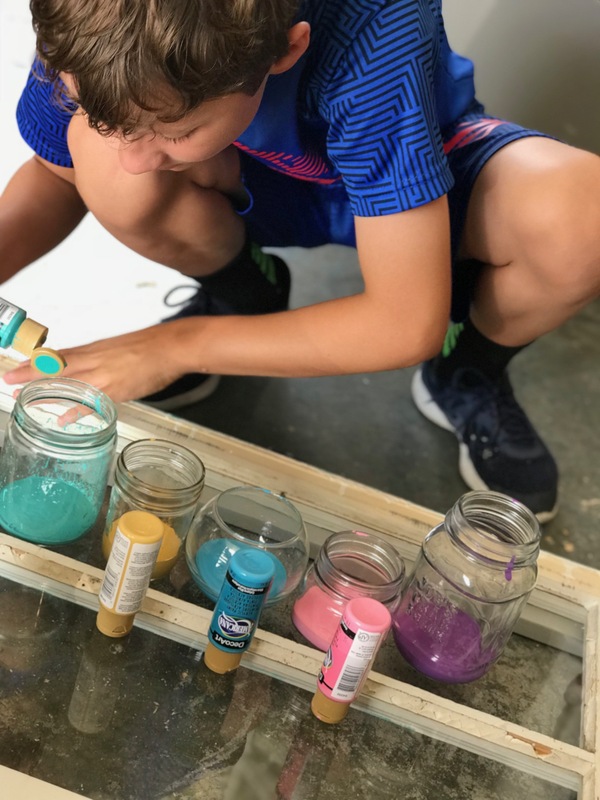 This is the perfect project to enlist your kiddos help on!! They LOVE mixing and watching the colors flow into each other! Now for the Whimsical Window fun part!!! You can check out this video for a GREAT tutorial! This was the technique I used for the window. Let is dry COMPLETELY before turning over! This took almost a full day for my project just because the paint was pretty thick. As you can tell from the pic, the line are a lot more blurred on the front side which was exactly the look I was going for! Think of it like a galaxy! It was perfect for my Whimsical Window! Using some of the paint that was left over, I dry-brushed a little color onto the window frame. I used my Silhouette Cameo to design some vinyl for the front of the window and VIOLA!!! I LOVE IT!!! I couldn’t be more pleased with how it turned out! I need to find the perfect spot for it but decorating a little girls room with this piece would be amazing! What do you think? 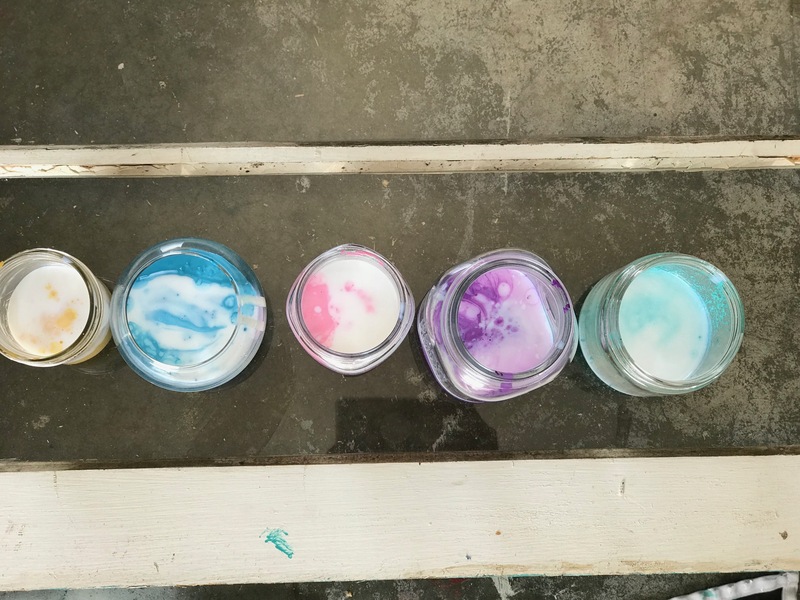 Are you ready to try your hand at paint pouring? 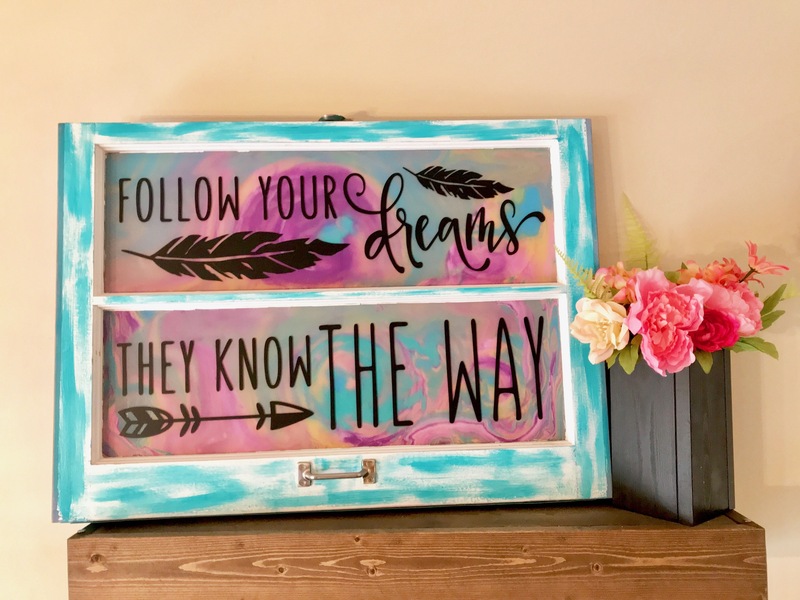 DecoArt has really taken all of the quess work out of this technique and made it so easy for you!! I’d love for you to PIN this so you can always refer back to it and drool over the beauty of it!! I’d love to see a finished picture if you try paint pouring on your own! Go follow your dreams and make your own! !